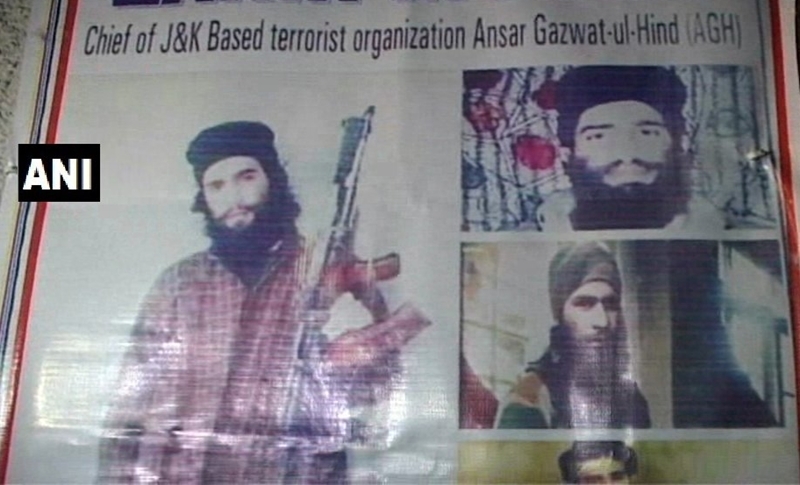 The Punjab Police have released wanted posters of Zakir Moosa, the chief of Jammu and Kashmir based Ansar Ghazwat-ul-Hind terror outfit with reported links to Jaish-e-Mohammed (JeM). The latest development comes after intelligence agencies informed the police about his movements near Amritsar. Speaking on the issue, Gurdaspur SSP Swarandeep Singh said, “We had inputs about his (Moosa’s) movements near Amritsar. So we have released wanted posters of him to make public aware and have requested them to tell us if they have any information.” The Punjab Police are on their toes after the intelligence agencies had issued a letter stating that seven members of the terror outfit JeM were believed to be sighted in Ferozepur. Following the development, the state has been put on high alert. “We had inputs that some JeM terrorists have infiltrated in Punjab through Ferozepur, so we have taken precautionary measures. Extra forces have been deployed along the border. Checking of vehicles is underway,” the SSP further said. On November 5, the Punjab Police arrested two students associated with Ansar Ghazwat-ul-Hind, in connection with Maqsudan Police Station hand-grenade blasts case of September 14. The outfit is headed by Musa, also known as Zakir Rashid Bhatt, who masterminded and guided the attack, involving Shahid Qayoom and Fazil Bashir, who were students of ST Soldier College of Engineering and Technology in Jalandhar.